MANVEL — The Manvel Mavericks were in contention to win the 2014 Alvin Lion's Club Tournament until they met Katy Morton Ranch in the semifinals of the Gold Bracket. The Mavs won their first two games when they beat Dickinson (78-67) and Mayde Creek (73-60), but they came up short against the Morton Ranch Longhorns 80-72. Manvel control the opening eight minutes by building a 16-10 lead, but the Longhorns turned up the heat on offense in the second quarter by outscoring the Mavs 26-17 to put them ahead by a slim 36-33 lead at intermission. The battle was on in the second half as Manvel outscored Morton Ranch 21-18 sending the game into the final frame all knotted up at 54-54, but the Horns continued their hot offensive attack to outscore the Mavs 26-18 to claim the 80-72 win. Ryan Hudson had the hot hand on offense for Manvel with 17 points, but he got strong support from Linton Acliese who tossed in 16. D'Eriq King and Jalen Preston both added 10 apiece. Hudson was 4-of-6 from the 3-point arc. Sam Flores was the game-leading scorer for Morton Ranch with 21 while teammate Tyler Motley added 19. 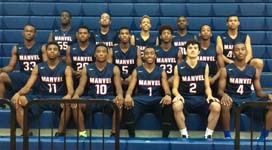 Manvel faced Houston Davis for the third place trophy and came away with a 54-46 victory. Senior Sterling Fulton was the leading scorer against Davis with 15 points while freshman Jalen Preston tossed in 10. Head coach Greg Devers has a dominant team of juniors with only one senior and one freshman. The Mavs are a very good team now, but will no doubt get even stronger as the season moves forward. 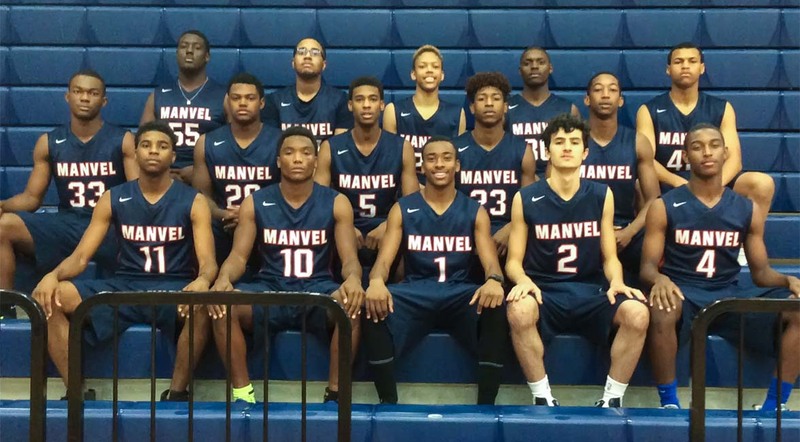 At 11-9 overall and 5-0 in district, Manvel has established themselves as the team to beat for the District 22-6A championship.